Lou from Let’s Go Fido! already had a website designed by an overseas developer a couple of years earlier and had been trying to develop her own logo and printed material. She had a basic idea of what she wanted her logo to be (a dog in silhouette). LexiPhi did a full rebrand including commissioning a cartoonist to draw the dog silhouette to make the logo unique, and from there we developed all the printed promotional material including letterheads, brochures, flyers and posters. For a trade shows we designed and print managed a pull-up banner, large teardrop flag & new branded t-shirts for the staff. LexiPhi set up email & website hosting, before designing a brand new website with a fresh new look based on the new branding. We used a bought theme and customised it, wrote & sourced photography for the advertising slider on the home page, wrote the copy and sourced photography for the content, and set up the branding on the clients existing Facebook page. Before launch we put together a mailing list of emails from clients suppliers etc in preparation for the launch. 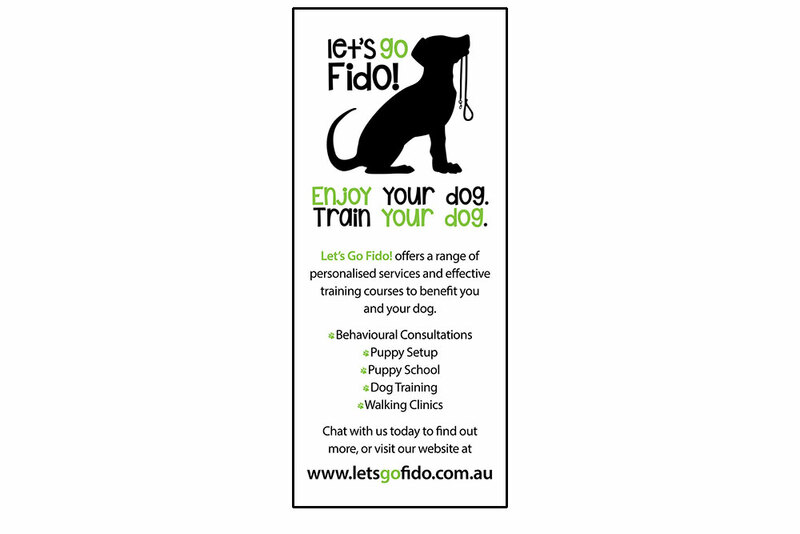 When Let’s Go Fido! was launched, we announced the it via an EDM (electronic direct mail) as well as on the clients Facebook page. After the launch and in close collaboration with the client we developed a number of blog posts that are relevant to the business, set up cross-over promotions to the Facebook page, and worked out a marketing strategy for expansion. 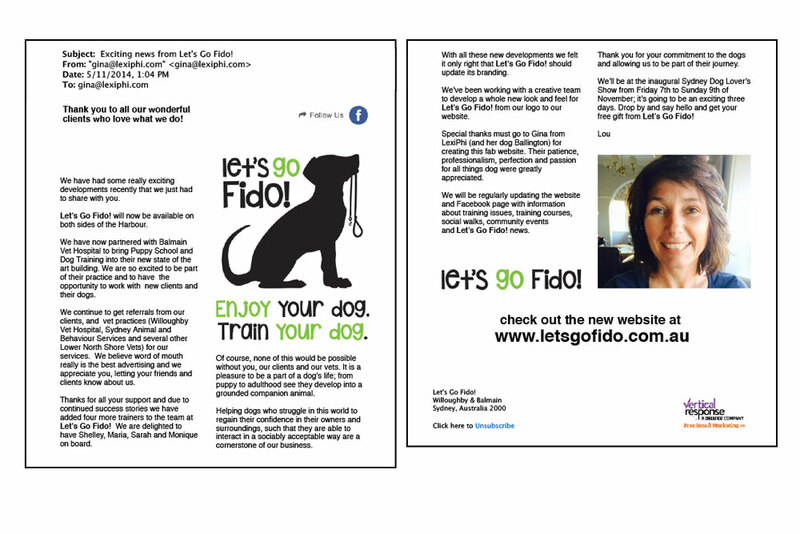 LexiPhi provides ongoing marketing support as the Let’s Go Fido! business has expanded. 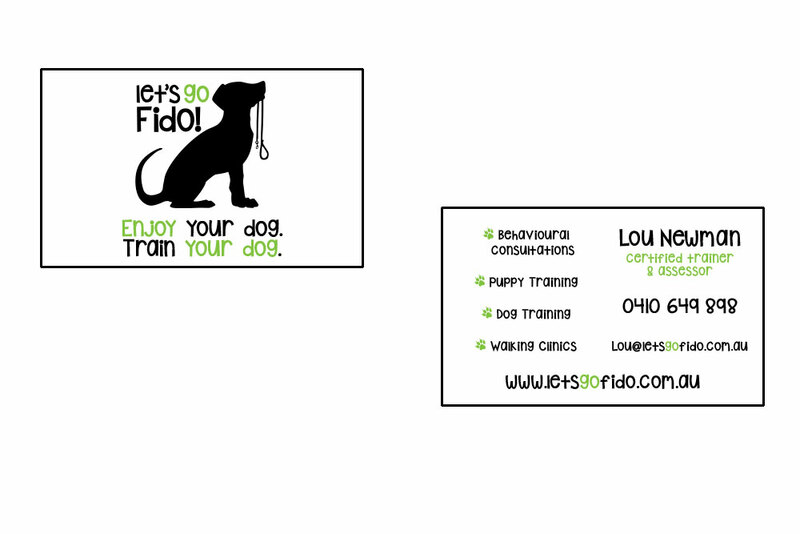 The Let’s Go Fido! website is customised with the new branding, with a home page slider advertising the core services. Content was adapted from the previous website and additional written as needed. Photography was sourced by LexiPhi and additional images provided by the client. Let's Go Fido! logo with tagline. Let's Go Fido! logotype treatments. Let's Go Fido! business card. 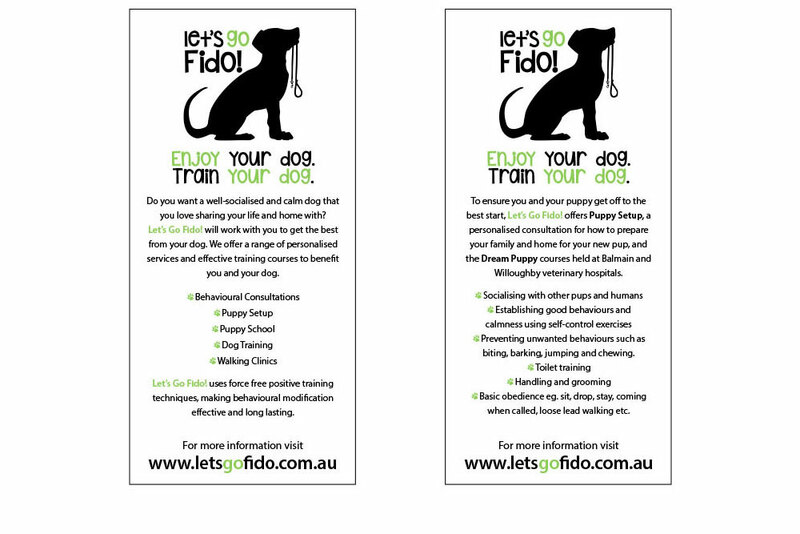 Double sided, two colour printed on 300gsm card. Let's Go Fido! DL promotional flyers. Double sided, four colour printed on 120gsm paper. Let's Go Fido! A2 posters. 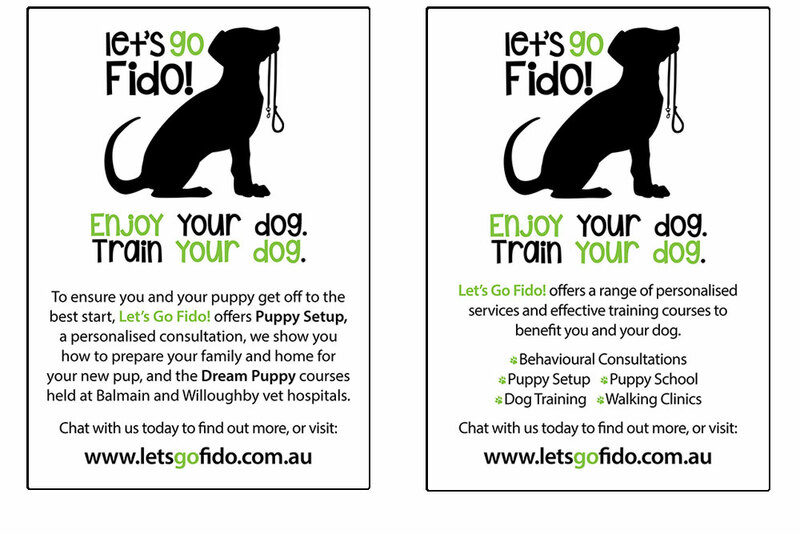 Single sided, four colour, 2 variations - one promoting the puppy setup & puppy schools, the other promoting all Let's Go Fido! services. 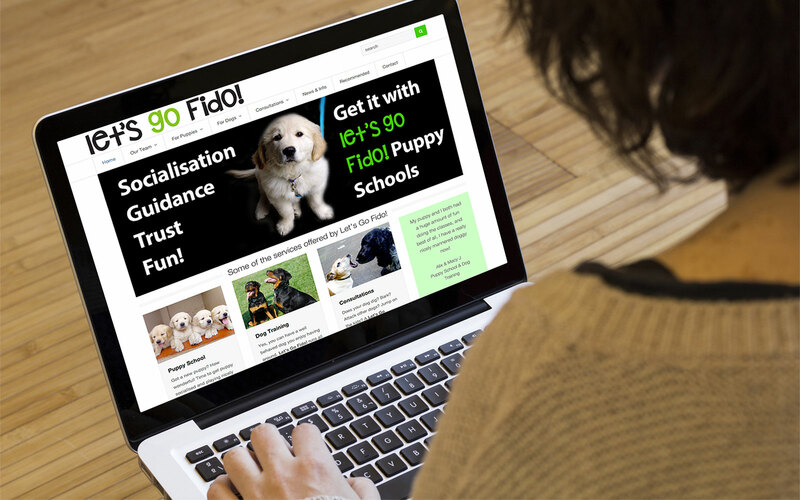 Let's Go Fido! staff t-shirts. 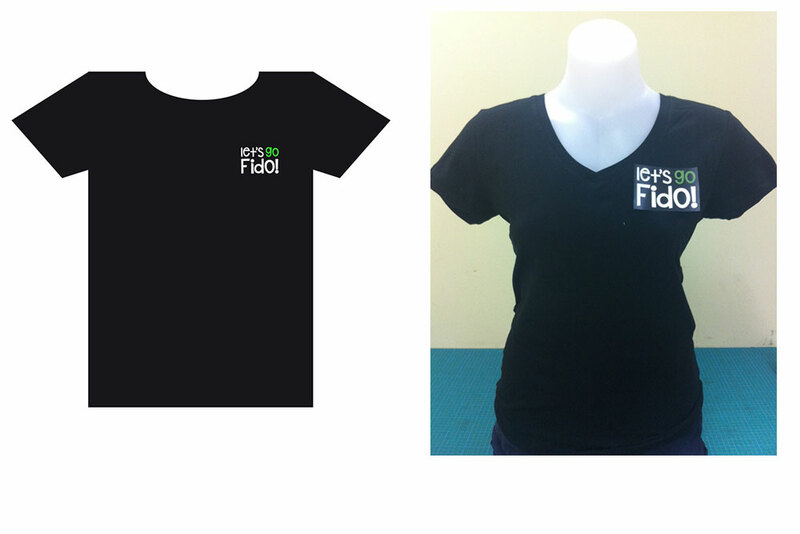 Printed on black v-neck cotton t-shirts with logotype in digital vinyl. Let's Go Fido! pull-up banner. Single sided, two colour special printed on 440gsm Stayflat Matt Banner Matt. Let's Go Fido! promotional flag. 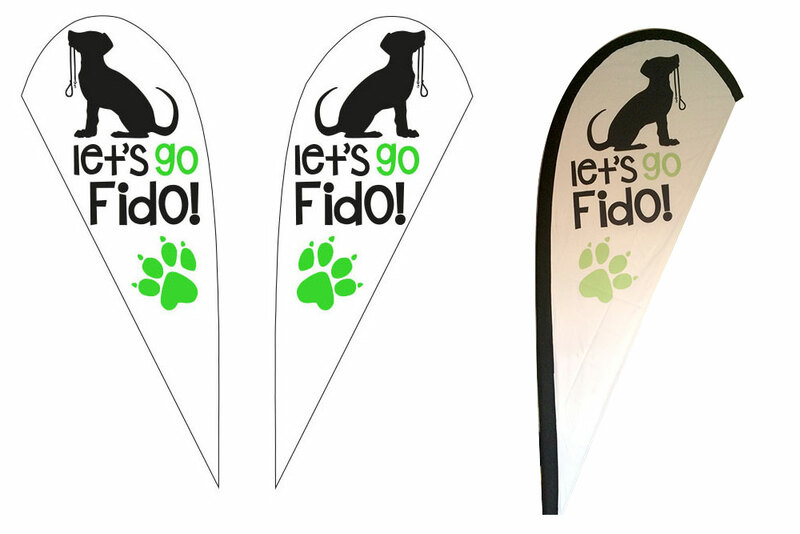 2.2 metre double sided teardrop flag. Let's Go Fido! new brand launch announcement EDM. Personalised, branded, database driven, legally compliant.